We have begun tapping in anticipation that the 2019 maple season will begin later this week based on current weather predictions. February has been below average temperature wise and as such the maple season has been delayed some but the weather looks promising for the rest of the month. Stay tuned for updates on open house dates/times as well as more information on our new maple syrup making classes held here at the farm. As we busily prepare for the coming of winter we stopped for a moment this past weekend to wonder at the beauty Fall even as it nears its end. 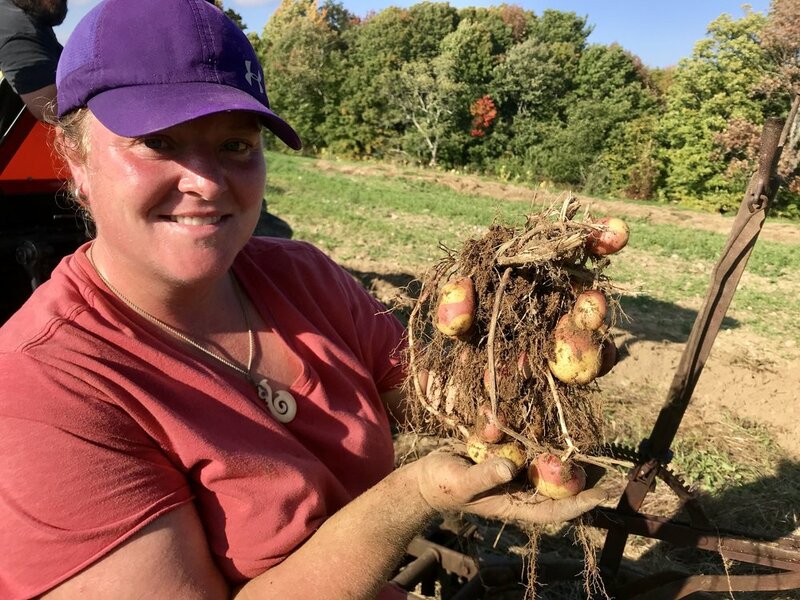 Spent part of a day with our friends Aaron and Laura at Our Farm in Springvale, Maine to help with their potato harvest. 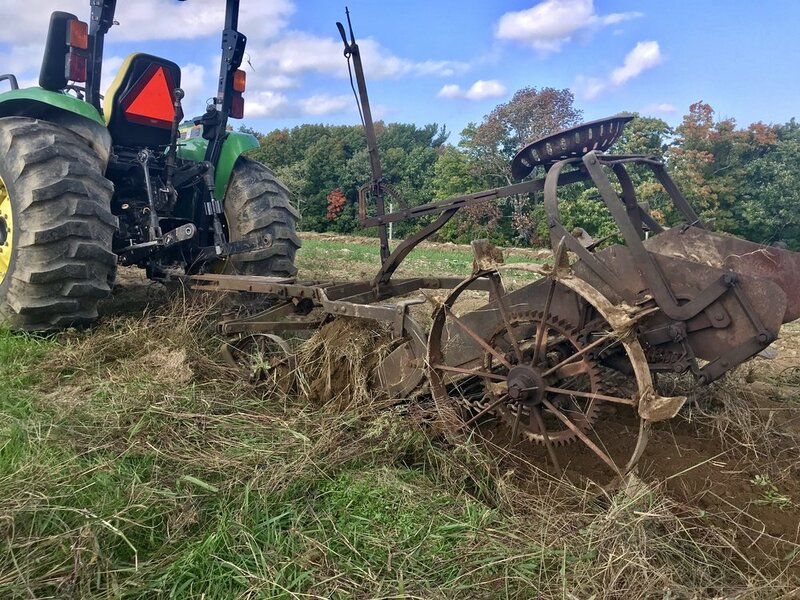 Several months ago Aaron had stopped by and casually asked about our antique potato harvester and whether we would consider letting him try to make it operational again. We loved the idea of this nearly 100 year old farm tool being given another chance to work as it was designed. 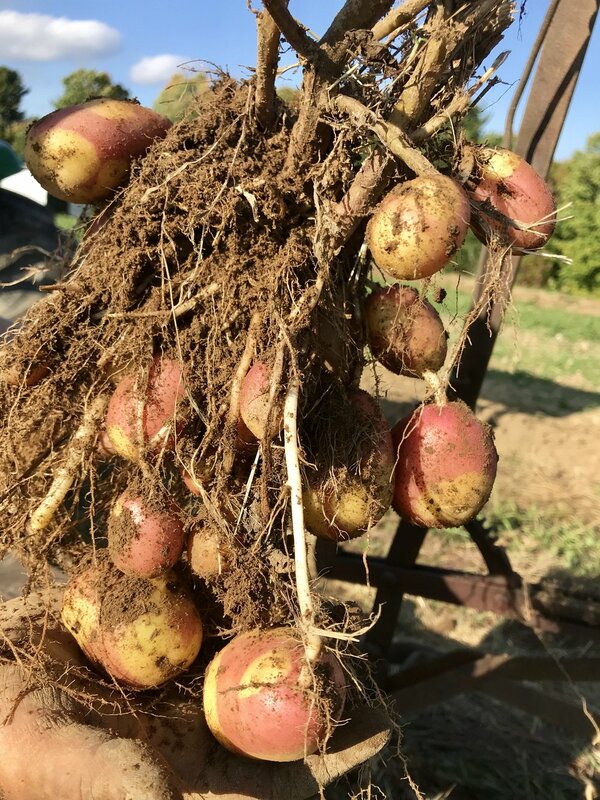 While this old girl is OSHA’s worst nightmare…after a little trial and error we had potatoes bouncing down the conveyor! Much fun was had by all and I am already looking forward to next year’s harvest! New product alert: Local fruit sorbet! New product alert...we are now offering fresh, local fruit sorbet with fruit sourced from our farm and surrounding farms! Our goal is to offer sorbet made from fruit sourced from within about 15 miles of our farm. This weeks offerings are blueberry/lime and blackberry/plum with the blueberries/backberries sourced from here and Shiro plums from Foxes Ridge Farm in Acton. We will be open for pick your own blueberries this Saturday from 11-3 and will have sorbet for sale as well. In addition, we will be at the Kittery farmer's market this Sunday and will have fresh berries, maple products and sorbet for sale. Hope to see you this weekend! Who loves pure maple syrup and supporting good causes? 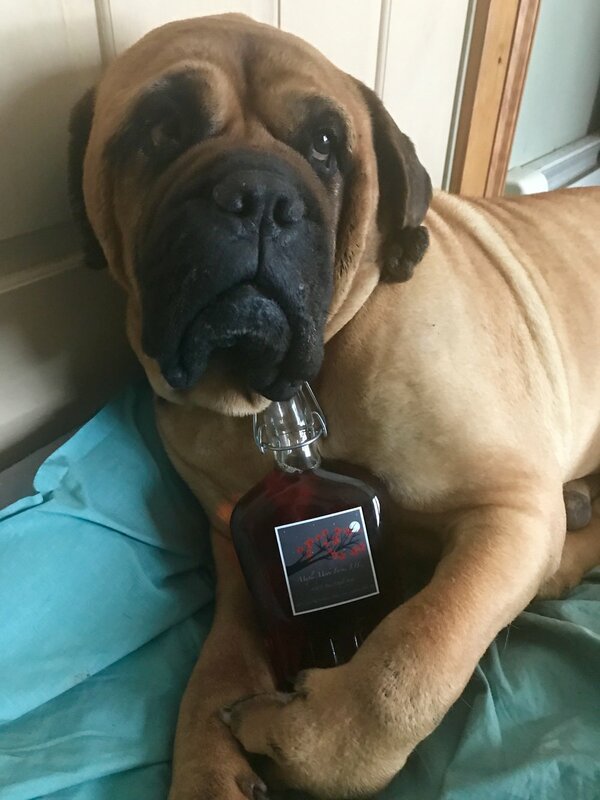 If so, grab some badass Maine maple syrup and help support Badass Brooklyn Animal Rescue's efforts to rescue animals in need. We adopted 2 Bullmastiff sisters (Marcie and Peppermint Patty) and wanted to find a way to help support Badass. To that end, Maple Moon Farm will donate 50% of our online sales (excluding shipping costs) to Badass for the next 7 days, and will post the final donation amount at the end of the sale. Blueberries and Raspberries are here! 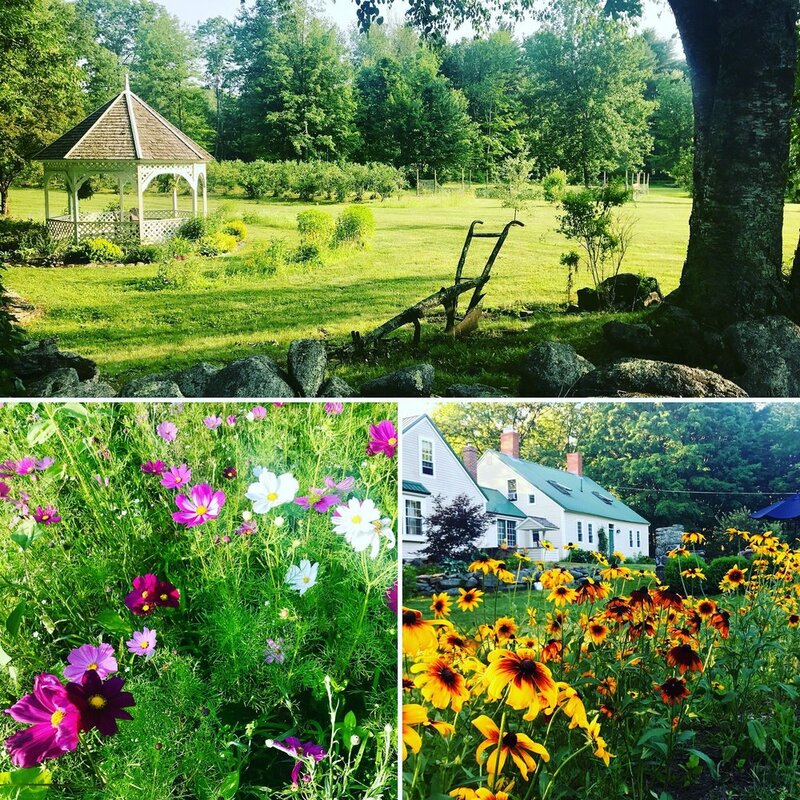 We will be bringing fresh berries (grown using organic practices) to the Kittery farmer's market tomorrow (July 15th) from 10a-2p. We will be opening for pick your own berries hopefully next weekend...stay tuned for more info. 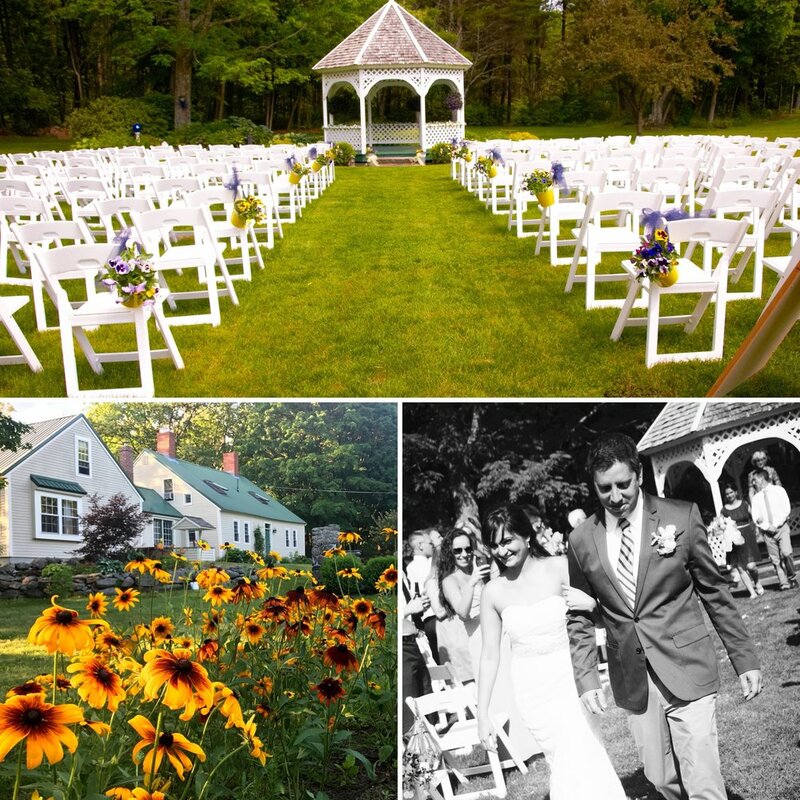 Fall 2018 Wedding Space Still Available! Get Married on the Farm! -While heating fill a large bowl or tray with fresh snow. 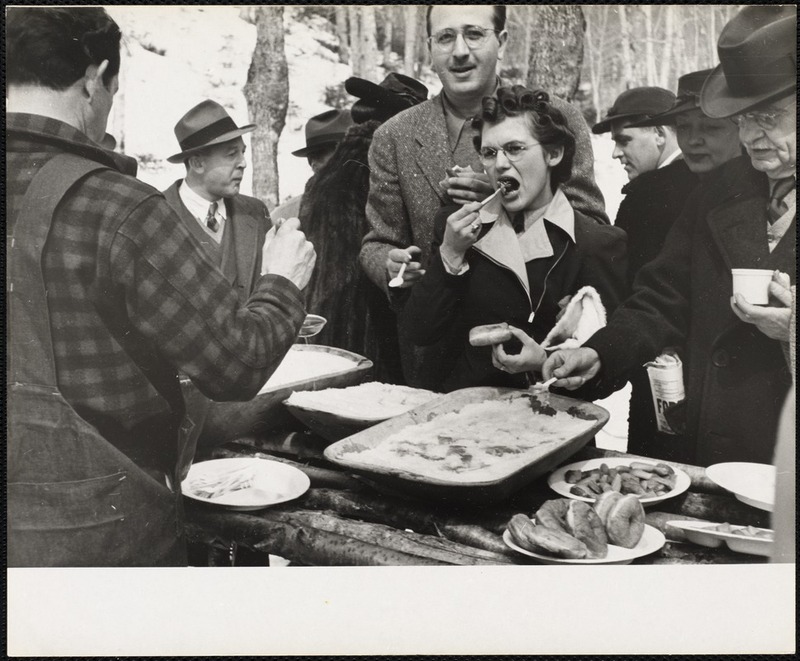 -Once at 234 degrees pour in thin streams over the packed snow and watch it change almost instantly into maple taffy!